We are very excited to welcome the Gallagher twins for a demonstration and a fun hands-on workshop of kendama for Family Saturday! Kendama is a traditional Japanese toy that originally became popular during the Edo period. Kendama regained its popularity in many parts of the world in recent years, and its styles and skills show influences from yo-yo, juggling and robotics. Today, kendama competitions are held around the world, and the contestants compete in a variety of formats including tricks, speed battles and freestyle. Join us on Saturday, August 10, 11am-1pm for a demonstration and a fun family-friendly kendama experience lead by the 2018 Gloken Kendama World Cup winner, Nick Gallagher, his twin brother, Zack Gallagher, and their friends. Free garden admission to all youth 12 and younger from 10 a.m. to 2 p.m. for Family Saturday. 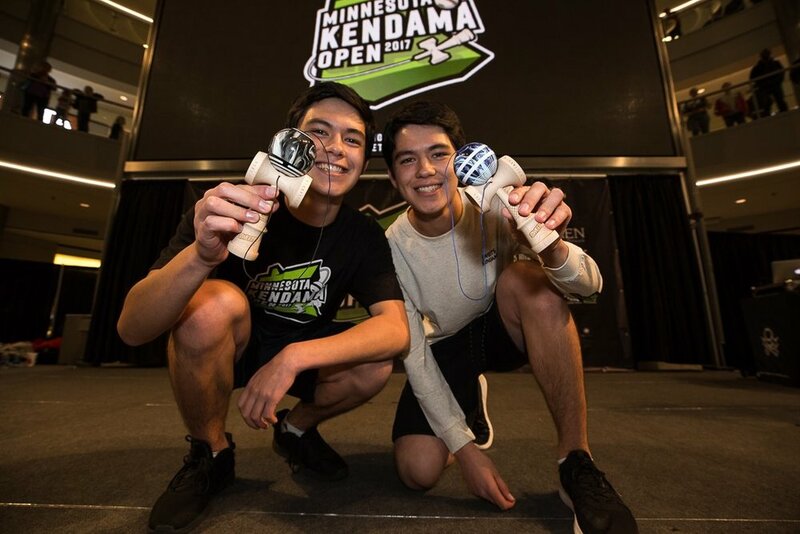 Nick (left-handed) and Zack (right-handed) both a freshman at the University of Washington, picked up kendama at young age, have been pushing each other to become better. Zack is the 2018 winner of the Gloken Kendama World Cup.lease check back for more information.